I am going through a bit of a celeb phase. 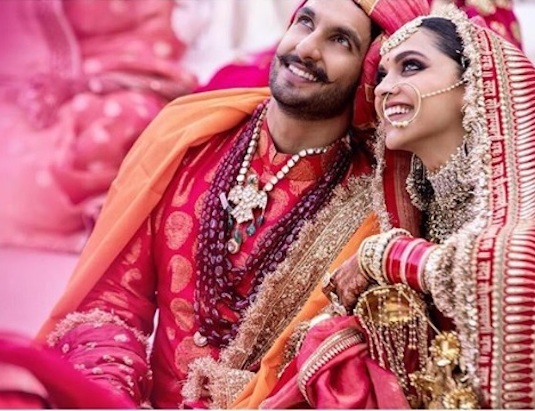 I am totally lapping in the details from my favourite wedding of the year so far, Deepika and Ranveer. The traditional wedding ceremony was held in Italy with only a limited number of guests. 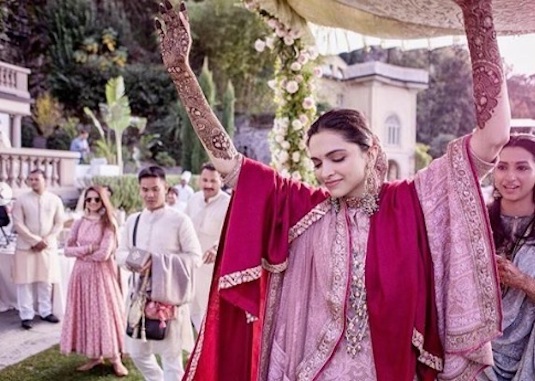 The ceremony was limited to close family and friends, with even prominent bollywood stars not invited to the celebration. 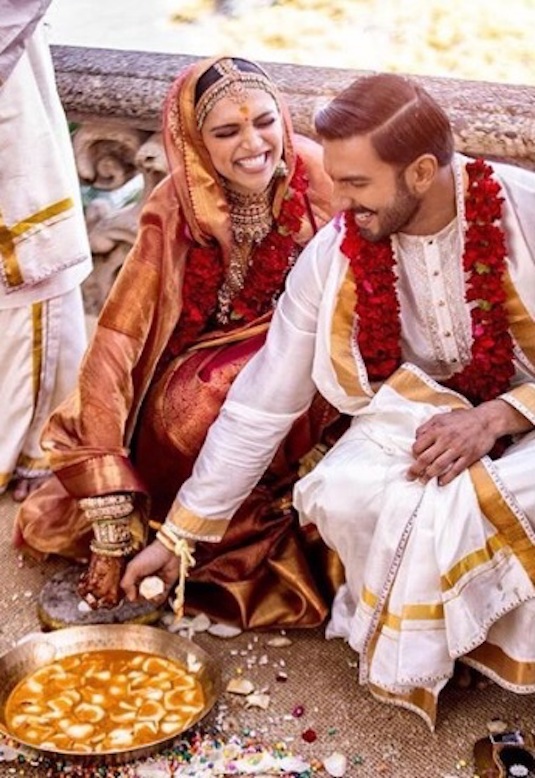 Since the couple are from different communities, they had 2 traditional style wedding ceremonies – Konkani and Sindhi. Each community has it’s own ways of celebrating weddings, and the lucky couple had the chance to partake in both. 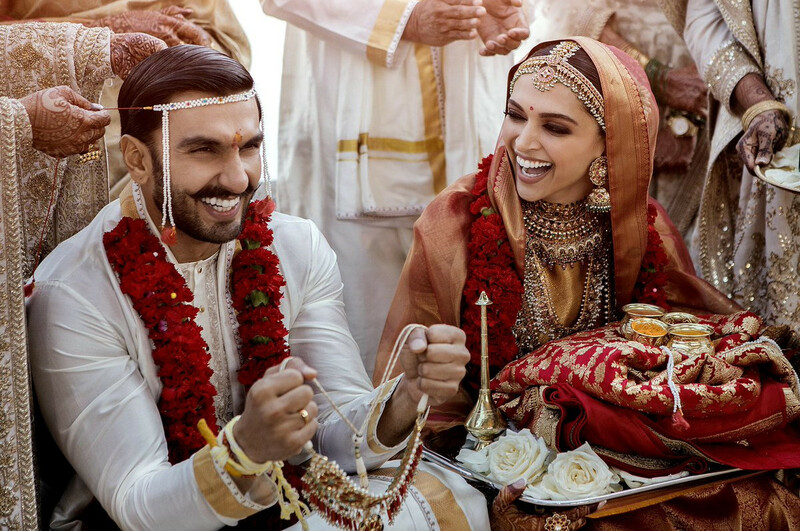 As has become customary in recent weddings, the couple also had an elaborate mehendi ceremony. 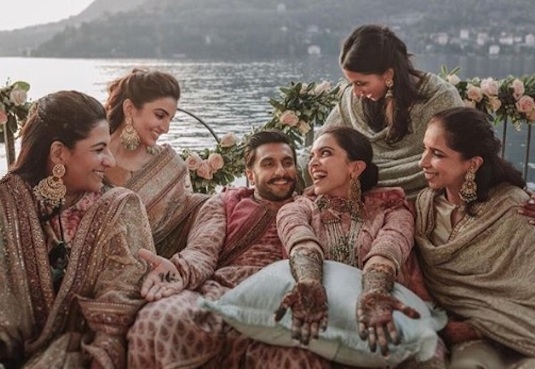 At this ceremony, the bride had mehendi applied to her hands. From the looks of the pictures – there was also dancing and generally a good vibe. The Konkani wedding ceremony looked very traditional and both the bride and groom seem to be having a great time. 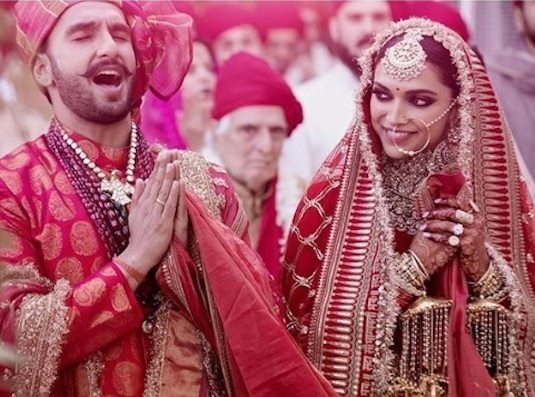 Some media reports claimed that the red saree that Deepika wore was a Sabyasachi, but it was later clarified that it was not from the designer’s collection. The spree was in fact a Kanjivaram saree in which Deepika looked stunning. As the couple got back to Mumbai, on the airport they were seen in relatively muted colours. The style was elegant and a refreshing change from the bold colours at the wedding. 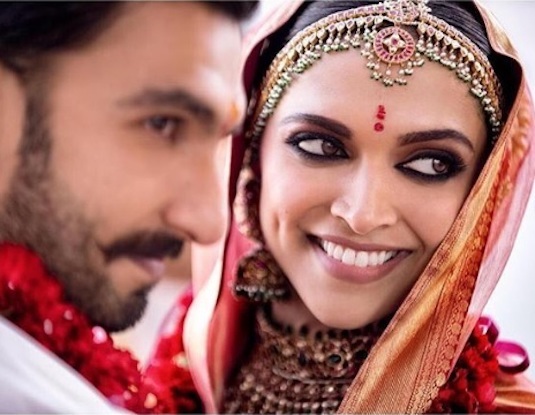 I find it absolutely refreshing that Deepika did not opt for heavy neck jewellery and kept her look very simple with the traditional Jhumka earrings. Ranveer not to be outdone on the florals, also opted for a simple look (by his standards anyway). 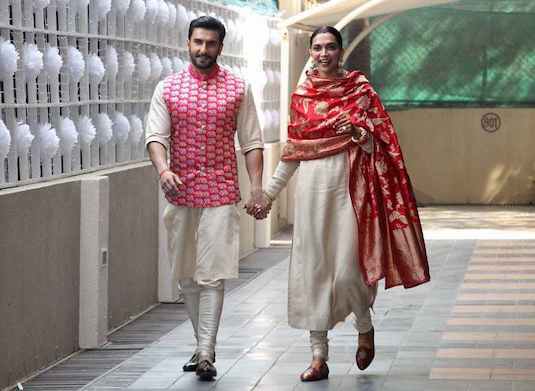 The timeless pairing of a waistcoat with the white kurta set was perfect and complemented his new wife’s look. I did expect Ranveer to be a little more bold with his choice for the airport, but this look works just fine on him. The couple arrived in Mumbai recently and were looking absolutely perfect. They wore matching colours and I have to say, Deepika looked absolutely radiant. 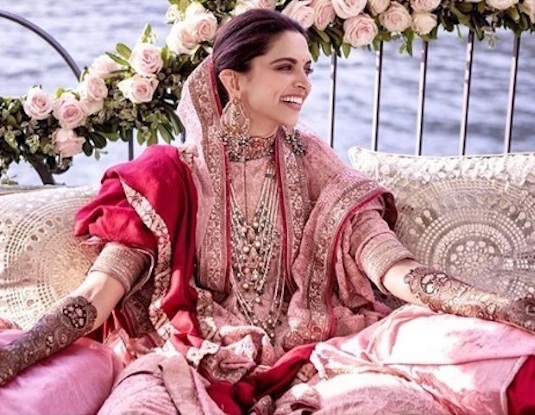 I think deepika’s traditional style game is right on point, and I love the use of traditional fabrics and textiles in the couple’s wedding. 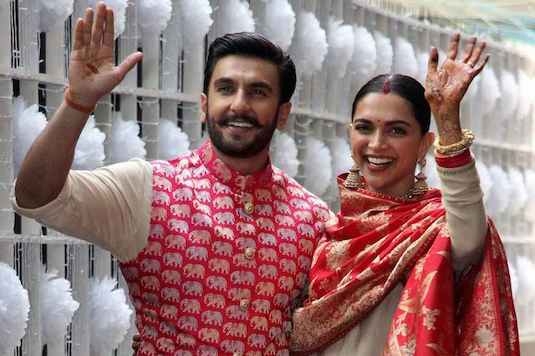 From quirky motifs like Ranveer’s elephant motif jacket to the nature inspired motifs on Deepika’s dupatta – the small details were a nod to the traditional.